A huge 60% of our waking hours are spent at work these days, more than ever before, and research shows that employees believe therefore that their employer has a responsibility to look after and support their well-being and their work/life balance. 77% of employees place workplace well-being as the secret to employee happiness, and a third of workers consider leaving their job due to poor workplace well-being [UNUM 2018]. Businesses with well-being programmes are proven to attract and retain the best people; they receive higher levels of employee engagement and improve their rankings in the Times Top 100 Companies [Feel Good 2018]. So, as an employer there is greater responsibility to consider your employees' well-being! 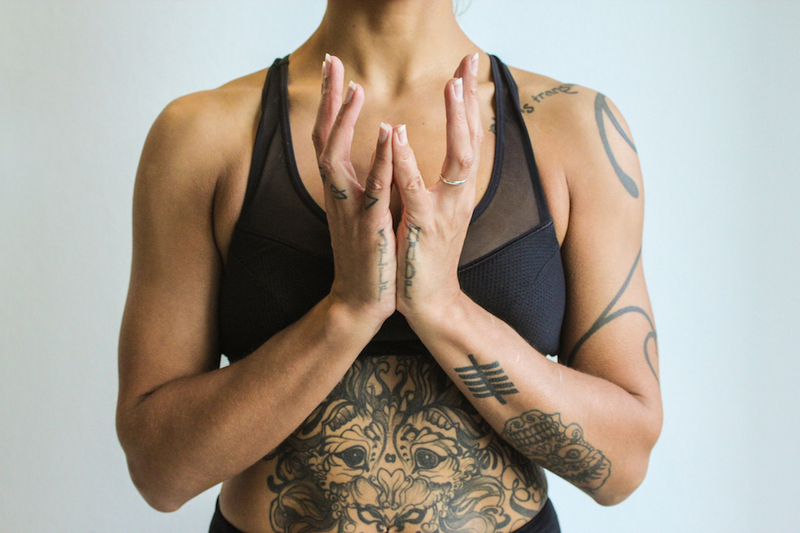 Implementing a well-being strategy that considers and facilitates both emotional and physical health is necessary for businesses, and employees – and yoga can be a hugely beneficial part of that strategy. From energy-increasing movement to calming breathing exercises to quiet seated meditation, yoga is an inclusive activity which everyone can benefit from, and its' benefits as a regular practical and mindful practice are far-reaching! For employers yoga can help to; reduced sickness absence, improved employee retention and workforce productivity, increased trust and happiness in the workplace. For employees yoga can help to; reduced tiredness and work related stress and strain, developed confidence and a stronger social circle, improved posture and general health and fitness. According to the Health and Safety Executive (HSE) stress also accounted for over a third (37%) of all work-related illness in 2015-16 with a loss of 11.7 million workings days – almost 24 days per case. The Chartered Institute of Personnel and Development's (CIPD) Absence Management Report for 2016 showed that stress is the biggest cause of long-term absence and the second highest cause of short-term absence behind minor illnesses. And almost a third (31%) of respondents in the report said that stress-related absence increased over the past year. 41% of organisations said that mental health issues (anxiety and depression) had increased in 2017. 32% of organisations stating stress as a main cause of absence were doing nothing to tackle it. 75% of employees said they'd been stressed in the last year. With a commitment to workplace well-being, businesses could see employees being calm and focused, more motivated and less likely to leave, and with yoga enhancing a comprehensive well-being strategy employers can combat both physical and emotional demands of the job. Good people are hard to come by. So, for any business, your first and most important investment will be those who work for you. Workplace yoga is a great employee benefit, in lots of ways! Classes can be done at your site, in a private space, they can be given objectives, fit in with your wellness strategy, and be fully tailored to any specific needs your team may have. They can focus on breathing and relaxation, meditation and mantras, or movement and asana practice. Get in touch, and we can talk through how to support your business and employee with a structured programme of yoga-based activity. “Its been very valuable... Its been around for a while but on a widespread level is being picked up by everybody now – its being understood as something more than just a religious nutty thing, its a system of teaching yourself how to get into a state of relaxation that affects your entire life and the quality of your life” - Jim Carrey, for Transcendental Meditation UK.